A-Stand is economical, light, easy to use and easy to set-up. 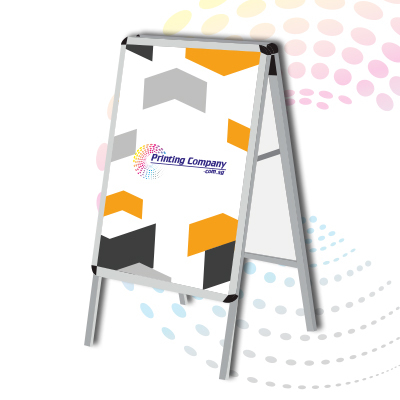 The perfect marketing tool for use in restaurants, road shows, events and exhibitions. Fits double sides A1 display. Comes with 2 colours to choose from; silver and black.